Interesting Wedding Ceremonies . . .
. . . Have a laugh with Gerry Duffy - and check out these Strange and Unusual Wedding Ceremonies ! 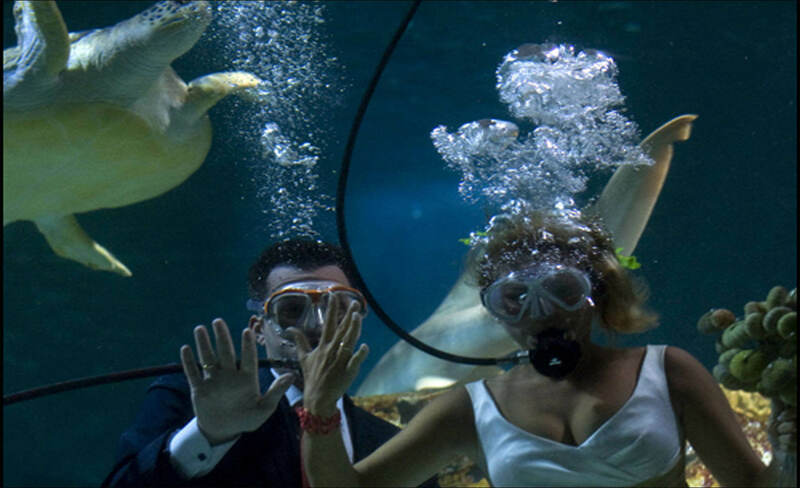 Fran Calvo and Monica Fraile wed underwater at the Sea Life Aquarium in 2012 in Benalmadena, Spain. 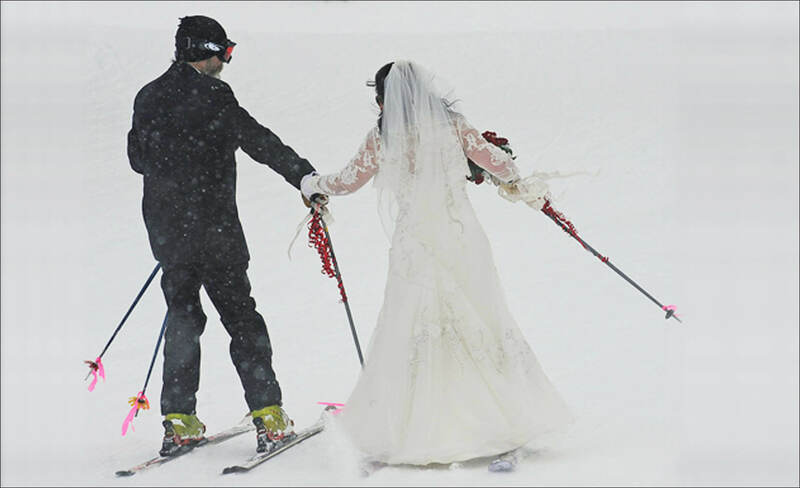 Newly married couple Scott and Crystal Morrell make their way down the slopes after tying the knot atop Lift 2 at the Loveland Ski Area resort in Colorado in 2012. Christof Galuschka and Evelyn Neew kiss in a hot-air balloon outside Berlin before their 1998 wedding ceremony. 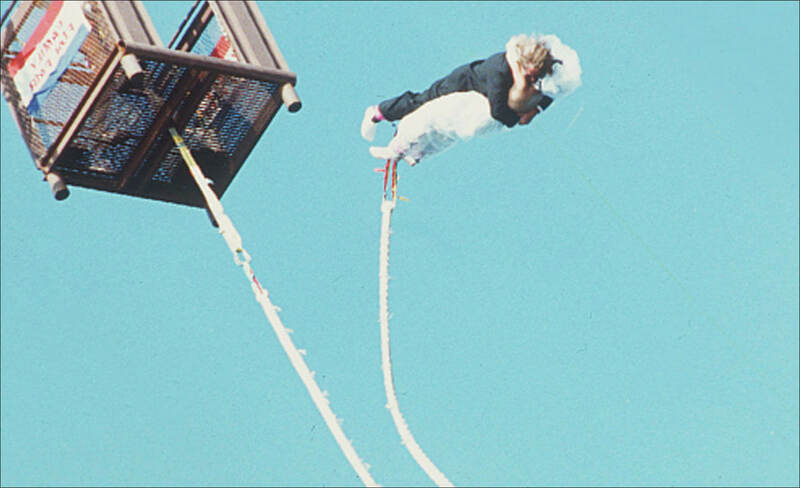 Timothy Ful Cher and Nony Tedjakasume bungee jump together in Atlantic City, N.J after tying the knot in 1992. 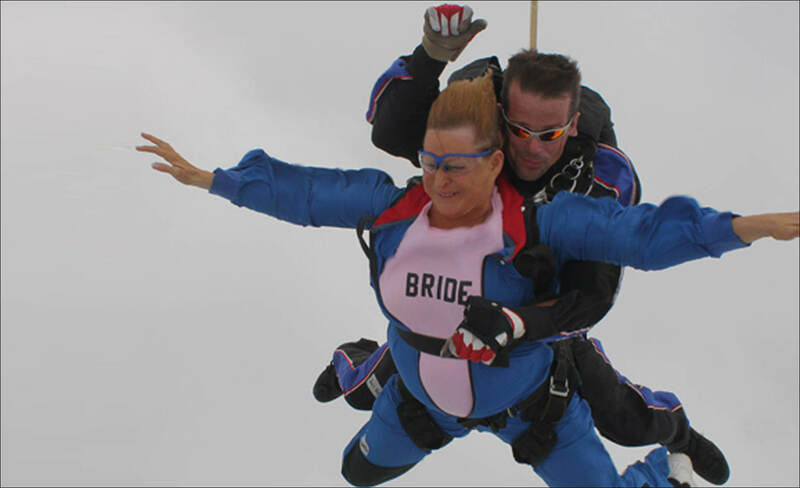 Gail Mathis, 54, skydives following her 2011 wedding to Phil Mathis in Middletown Ohio. 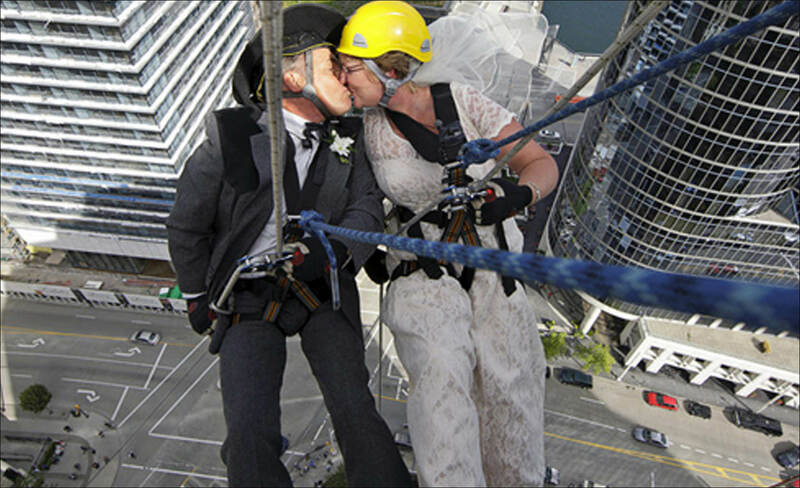 Rick Harker, 64, and 55-year-old Marlene Hoar kiss as they rapel down a skyscraper as part of their 2009 Vancouver wedding ceremony. 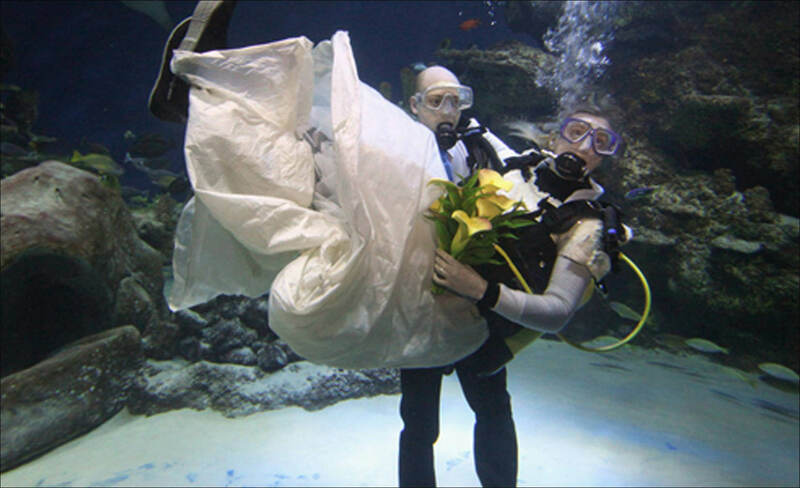 Aquarists Kathryn O'Connor and James Oliver participate in an underwater marriage ceremony at the London Aquarium in 2011. 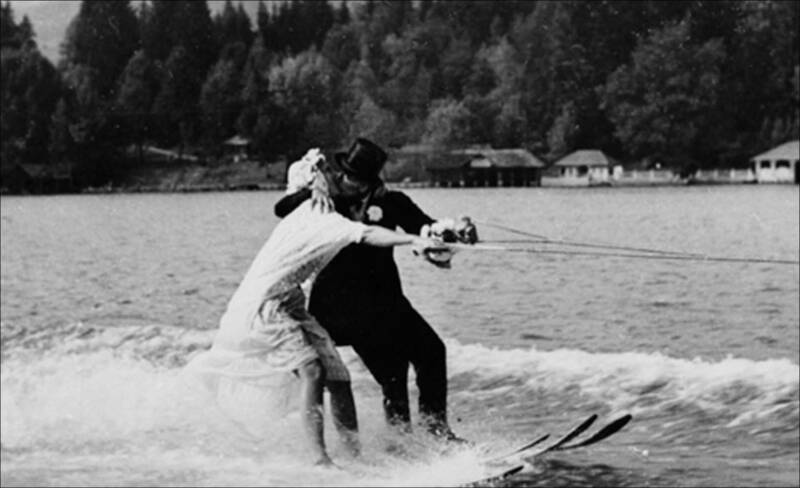 American skier Jannette Burr and her husband, artist Hans Sachs, kiss while waterskiing in their wedding attire on the Worthersee in Austria in 1951.